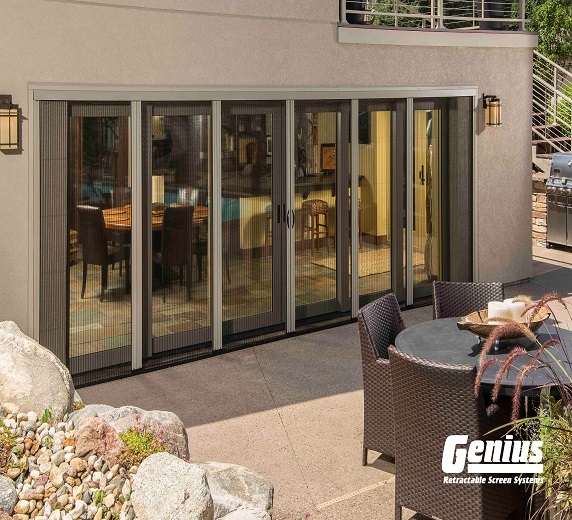 Screen Systems by Genius is the National Distributor for Genius Retractable Screens, distributing the complete line of Genius Screen products to Genius Dealers and customers throughout the US, Canada and the Caribbean. 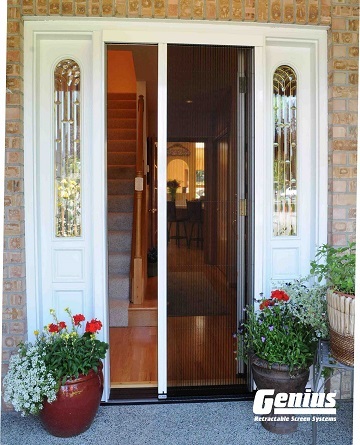 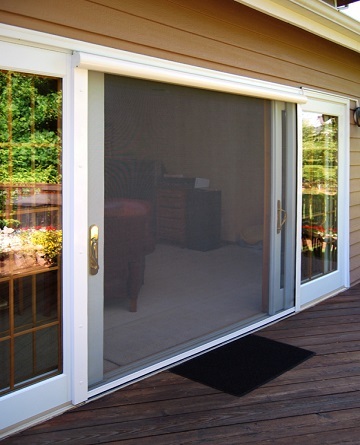 Genius Retractable Screens offer retractable screening solutions for doors, windows and other openings such as patio enclosures, verandas, garage doors, bi-folding doors and large panoramic openings. 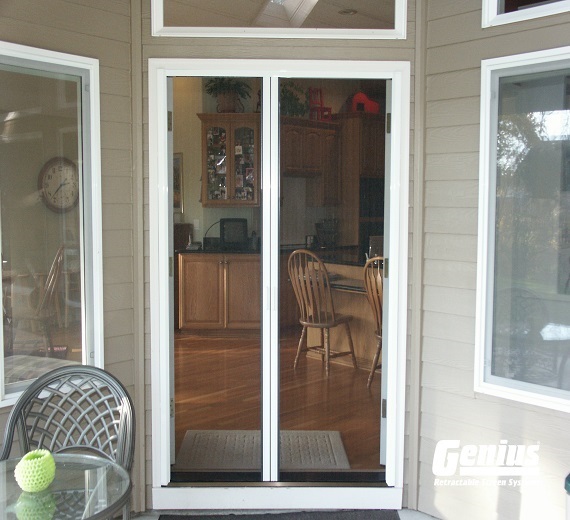 Unlike conventional insect screens, Genius Screens retract out-of-sight when not in use, creating uninterrupted views. 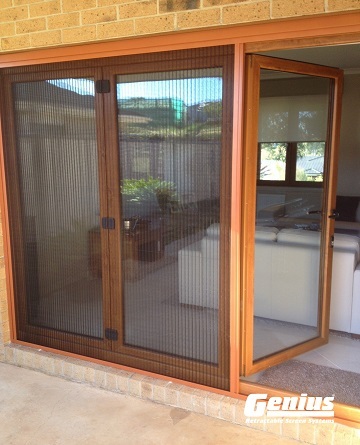 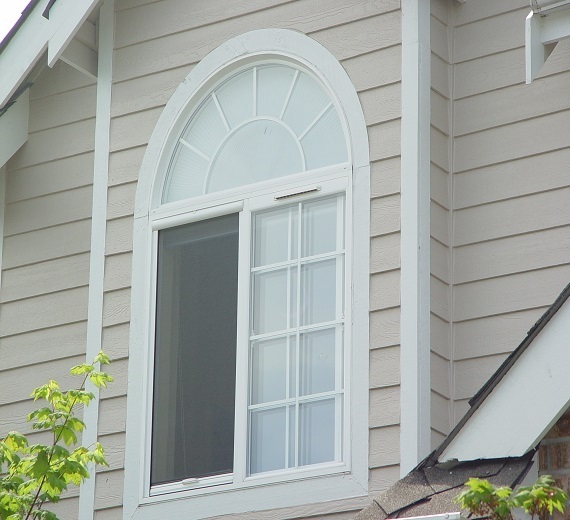 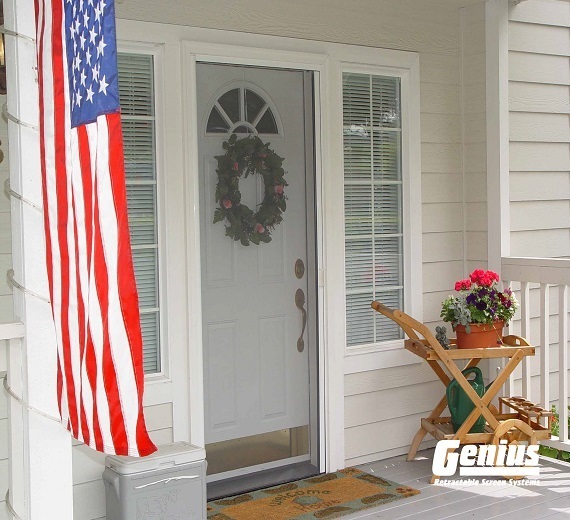 With a wide selection of fabrics and frame colors, Genius Screens provide fresh natural ventilation, shade from the sun, and protection from insects as they enhance the comfort of any home.